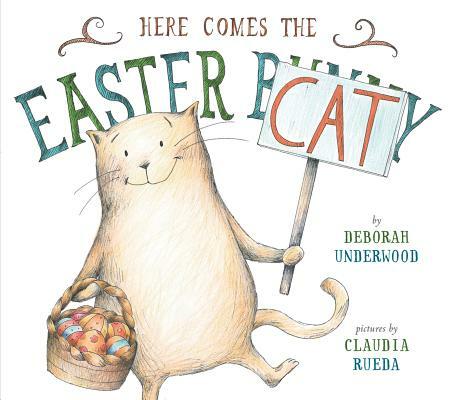 With this New York Times bestseller comes a cat with flair to spare, an Easter Bunny with a job to do, and a hilarious break from sticky-sweet Easter fare—for fans of Patrick McDonnell and Mo Willems's Elephant and Piggie books. Why should the Easter Bunny get all the love? That's what Cat would like to know. So he decides to take over: He dons his sparkly suit, jumps on his Harley, and roars off into the night. But it turns out delivering Easter eggs is hard work. And it doesn't leave much time for naps (of which Cat has taken five--no, seven). So when a pooped-out Easter Bunny shows up, and with a treat for Cat, what will Cat do? His surprise solution will be stylish, smart, and even—yes—kind. Great as an Easter basket stuffer—read it at Eastertime and year-round! Deborah Underwood is the author of the New York Times bestseller The Quiet Book. She lives in San Francisco, CA.